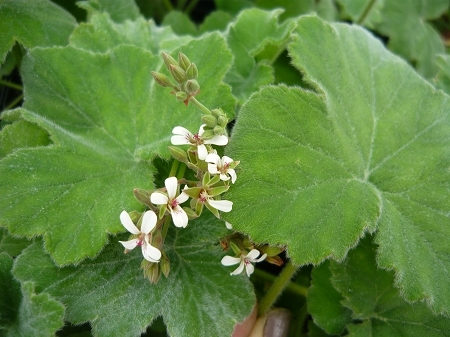 Peppermint Scented Geranium - Large velvet soft green leaves have a strong peppermint scent. Somewhat trailing growth habit. Can be grown in containers or large hanging baskets. Small white flowers when in bloom. Perennial zones 11+ Live starter plant in 3 inch container.